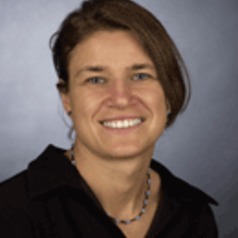 Dr Karin Ried is Research Fellow and Program Manager of the PHCRED (Primary Health Care Research Evaluation & Development) program at The University of Adelaide since 2006. Karin has over 15 years experience in medical and public health research. She completed her PhD in Molecular Biology/Human Genetics at the University of Heidelberg in Germany, and came to Australia in 1997 to undertake post-doctoral research on cancer genes at the Women's and Children's Hospital in Adelaide. Karin extended her knowledge in health sciences with a Graduate Diploma in Public Health at the University of Adelaide (2001) and a Certificate in Integrative Medicine (2009). Dr Ried's research interest is in complementary and integrative medicine with a focus on nutritional health. Her research projects encompass public health nutrition and epidemiology, infant nutrition, gastrointestinal health, cardiovascular health, bone health, and women's health. In her current role as PHCRED Program Manager, Karin is responsible for mentoring PHCRED funded researchers and managing and developing capacity building activities, including workshops on research methods. Karin has expertise in quantitative research, in particular in systematic reviews and meta-analyses, questionnaire design and survey methods, as well as in various aspects of qualitative research. In 2010, Karin took on the role as Honours Convenor for the School of Population Health & Clinical Practice.